Article Overview: What do Mo Duc, Vietnam and Baghdad and Pennsylvania Avenue have in common? How can domestic and foreign policies combine to protect the rights of citizens around the world to be free? And what positive impact does the War On Terrorism have upon our domestic economy? Find out. GROUND ZER0, New York, N.Y.--Jan. 21, 2004 -- I am listening to the State of the Union Speech by President George Bush as I write this. 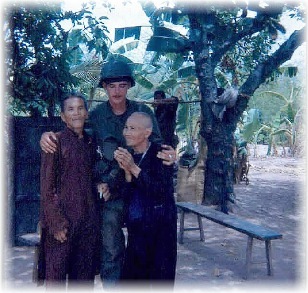 It is 9:15 p.m. As the President speaks about Iraq and Terrorism, and preserving freedom around the world, my mind races back to a place called Mo Duc, Vietnam over three decades past. Mo Duc was like Baghdad today. Americans were fighting and dying for the right of the people of a tyrannized nation to guide their own destiny, to be free from the draconic oppression of Communism's central control and command of an individual's life. It was 1966 and the North Vietnamese were hell-bent to cripple the right of the South Vietnamese to dictate their own future. The first democratic elections were slated. In retaliation, the North Vietnamese threatened to kill anyone who voted. Our job was to allow that right to vote for freedom, to defend it with our lives. Like the Beasts of Terrorism today the V.C. employed Fear and Intimidation to create Complacency. Our mission, as U.S. Marines, was to counter Fear with Courage, to smash Intimidation with Conviction, and to quash Complacency with the freedom to take the Right Actions that would benefit future generations. We were there to safeguard the right of the villagers to vote. Our units set up blocking forces around key polling areas. We were armed to the teeth, geared to battle the North Vietnamese who were massing to thwart our attempts to perform our roles as Sentinels of Vigilance for the citizens of Vietnam. 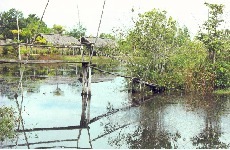 The enemy mined the roads leading to Mo Duc and blew up bridges, attempting to demoralize our mission. We took sniper fire as we wended our way over potholes where our engineers had blown up mines waiting to rip us into various bloody parts. 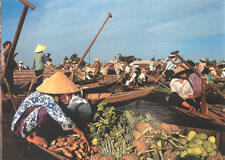 Mo Duc was a small village community, serving the farming countryside. The citizens worked in rice paddies, wore black pajamas and lived in thatched huts with no electricity or modern conveniences. For a betting person, it was doubtful that any sane villagers would risk their lives to vote that day. With a death warrant issued automatically for all who did, it seemed suicidal a mother, father, grandfather, uncle or aunt would venture out of the jungle and cast a vote for freedom, for self-government, for self-determination. It appeared we were destined to fight and die for no good reason that day. As expected, the enemy attacked our blocking positions. A number of my fellow Marines died in my arms that night, but we held the V.C. back. The next morning, with the blood still damp from the fight the night before, the odds of seeing Vietnamese farmers flowing down Highway One to vote grew slimmer. I wondered why we were fighting and dying for a people who had little chance to enjoy the fruits of freedom. At first, only a few black dots straggled down Highway One, the lonely road that ran the course of the Vietnam coastline from north to south. From the hilltop where I was positioned looking down on the road, I saw them growing in number. The black pajamas walking down the dirty highway appeared like a troop of ants feeling their way toward a feast. By the mid morning Highway One was crowded with black-pajama dressed villagers, each risking his or her life to cast the first vote for freedom. The blood of my comrades was well spent that day. To the critics of the war in Vietnam, I always wave the banner of Mo Duc. For those who want us to exit Iraq and leave the land to the iron-grip of the Beast of Terror, I wave the same flag of Mo Duc. I know, as such critics against our presence in Iraq don't, as they can never fathom, that freedom has bloody roots. I know that while we may have lost the war in Vietnam, we haven't lost the battle for a free and democratic society in that land, one that offers the Vietnamese children the rights to aspire to the highest levels of their imagination. 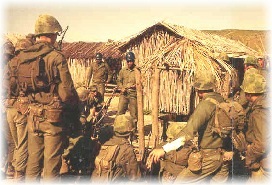 The battle for freedom continues even today in Vietnam to unfold itself into the free world. When one day it does, all the blood that was let in a war that has cast shame on countless millions will be redeemed. I will probably be long dead when that happens, but I know it will eventually happen. 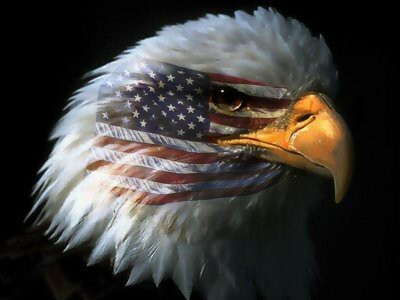 Freedom has no counterpart. Today, the situation in Baghdad is not unlike Mo Duc. The Terrorism that daily threatens and takes life through snipers and bombs is an attack on all our freedom, not just America’s. The Terrorism in Iraq is an ugly attempt to smear shame on the fight to preserve freedom for Iraqis. It is an attempt to strip from the children and unborn their natural rights as human being to grow up free of oppression and tyranny. 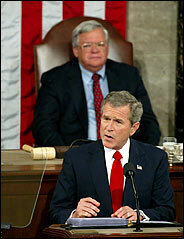 As the President of the United States speaks, there are those who attack his policy of U.S. intervention in Iraq. They seek to have the United States retreat, as we did in Vietnam, and leave freedom to flounder and perish under the boot heel of new tyrants and despots who will rise out of the ashes of Saddam Hussein. These new despots believe the people of Iraq need to be told what to think, what to believe, and when to think and believe. They will use the same Terrorism against their own as they attempt to use to drive America and its allies from the land. In his State of the Union Speech, the President is talking about America's role as a blocking force to Terrorism. He is telling the world he is fighting the War on Terrorism abroad, so that America may be safe within. I wonder if anyone really hears what he is saying. I wonder if they truly understand that our economy is directly linked to the success of freedom in Iraq. America's economic strength has always been hinged on its military power. To defend freedom throughout the world is to grease the chutes for world security, and the more secure the world is from tyranny and oppression, the greater the flow of commerce between nations. The more troubled the world, the more intimidated it is by Terror threats, the more unstable its engines of commerce. Europe, for example, was a group of nations battling one another in countless wars. Each was the other’s Terrorist. Now, it is bound in an economic union. The once diverse European nations have codified their disinterests because the flow of commerce rather than the flow of blood benefits rather than robs each family of greater wealth and greater opportunity for themselves and their children and their Children's Children's Children. Domestic economic security is manacled to a vibrant world economy. The rights of the people in Iraq to be free to build their nation democratically, is the right of all people to enjoy the fruits of commerce without fear of war, without the threat of political tyranny. The war in Iraq is not just about liberation of an oppressed people; it is about the free flow of commerce. It is about insuring our domestic economic power by unleashing the power in people who have been abused by leaders who deny them the right to evolve. Like Mo Duc, the future of Iraq will depend upon our ability to see through the critics who seek to cloud our purpose in the Middle East as “imperialistic” or “intrusionary” and call for our retreat. They want us to lick our financial wounds and spend money on our domestic economy, ignoring the fact that global Terrorism undermines the world’s economy. They refuse to see or admit our presence in Iraq is, ultimately, a step toward the maximization of our domestic economy. They are Complacent to proffer that a freer the world is to grow and prosper by individual effort, (the fruits of democracy) the richer will be those nations who share in the mutual commerce that ensues. As the President talks about foreign and domestic issues, he is really talking about one issue--the right of the individual to "be his or her own boss." He speaks of the right of people in all lands to enjoy the treasures of freedom, and extols the willingness of America to stand as a Sentinel of Vigilance to insure those rights are not ripped from the citizens hands. His war on Terrorism protects our domestic economy, for our nation is linked like the Internet to all other nations. Despite the President’s words, I am saddened by the thought that people in powerful political positions are so narrow minded as to promote America's role as selfish rather than selfless. It strikes me as selfish when such people advocate the primary mission of America is to preserve its own domestic freedom and ignore the global rights of others to have what we so dearly enjoy. 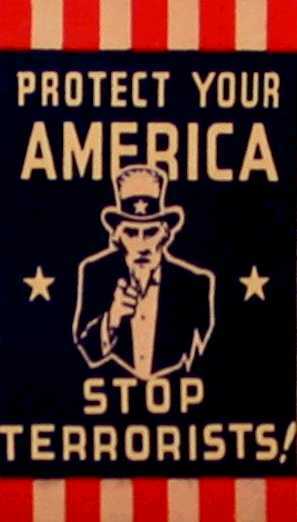 What is true about America is not its selfishness, but instead its selflessness. By giving away our freedom to lands that seek it, even if that means spilling our blood so that others may not spill theirs, we preserve our own. Our rich economy thrives because the world is freer today than ever before in history. 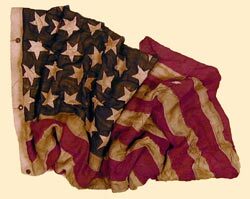 The free nations have modeled themselves after our success. They look to America's wealth as a symbol of what they want for their own people. And while this may emote jealousy and resentment from some, it remains a truth few can deny except those within our nation who run for high political office and cast rocks from the glass house and Terrorists who seek to destroy America’s right to serve as the Global Sentinel of Freedom and Liberty. Our legacy for freedom flows from many places, many of which are unsung. One of those unsung places includes a little known Vietnamese village called Mo Duc. Another, more prominent one, is Baghdad. Both impact our way of life, domestically and internationally. Both cry for America's Sentinel of Vigilance mission. Let's not turn our backs on Baghdad as we did Mo Duc. 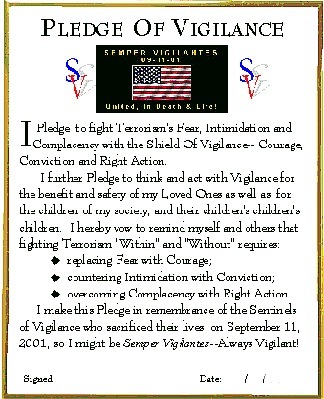 Let's be Sentinels of Global Vigilance, not handlers for the Beast of Terror. Dec. 20 Part I of V--The Legend Of Christmas Vigilance. Dec. 19 What Do Michael Jackson & Saddam Hussein Have In Common?